If you’re a proud owner of an iMac, Mac mini, Mac Pro or one of Apple’s many MacBook models, and you feel like you need a little bit of a change and some new features to interact and play with, then you’ll be pleased to know that Apple has officially unveiled the next-generation version of its desktop OS dubbed Sierra with version number 10.12, or as we now call it, macOS Sierra 10.12, at its annual Worldwide Developers Conference (WWDC 2016) event. The announcement does not entirely come as a surprise considering the speculations and rumors we’ve been privy to as we got closer to Apple’s developer-centric event. It is now that we see how much of that has actually substantiated into the real deal. As always, we’re going to dive right in and take a deep look at what’s been announced, including all of the new features and the expected release date of the new desktop OS. 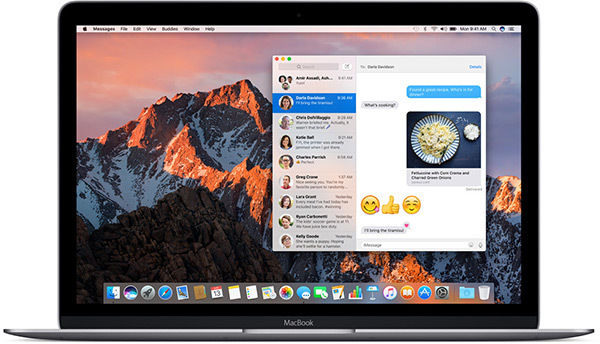 So, without any further delay, here’s everything you need to know about Apple’s macOS Sierra 10.12. As expected, and rightfully so, Siri has finally landed on the Mac. The digital assistant now finds itself a home in the dock, as well as the menu bar on the top right. Clicking the icon from any where will launch the assistant with it appearing in the top right of the menu bar. Of course it carries the usual wits Siri is famous for, and along with that can also help you show files in Finder, as well as send Messages, search on web, and lots more. Many Mac owners who regularly use an iPhone or iPad will probably feel that this one was long overdue. 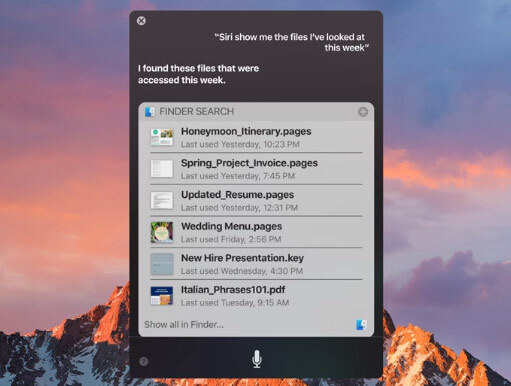 Siri for Mac will function in much the same manner as it does on Apple’s mobile devices. Users will be able to speak directly to the Mac once it has been primed for voice guidance, and get instant access to an earth of information and answers to a whole heap of questions. Find local restaurants and business, find out the scores from recent sports event or even historical stats, and so on. Part of evolution of Siri as a platform, Apple has opened Siri to third-party developers. This means that developers will be able to enhance their own app experiences by bringing Siri into the equation. No need to enter that password that keeps your desktop safe from prying eyes. If you have an Apple Watch and are wearing it (unlocked) when accessing your Mac, macOS Sierra 10.12 is smart enough to verify your identity by communicating with the Apple Watch, and remove the need to enter a password. 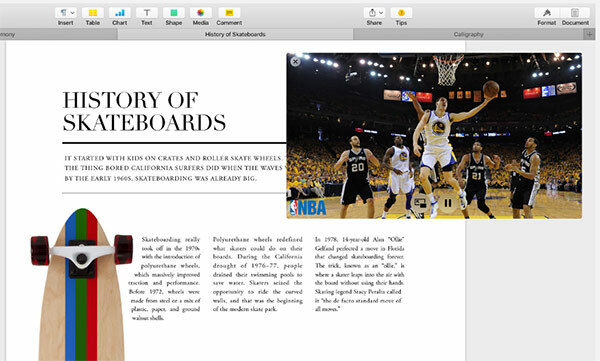 It’s still a clipboard, but one that is accessible on a Mac as well as an iPhone, thus making it much easier to pick up information from different devices. This means you will be able to ‘copy/paste’ works from say, a Mac to an iPhone or vice versa. 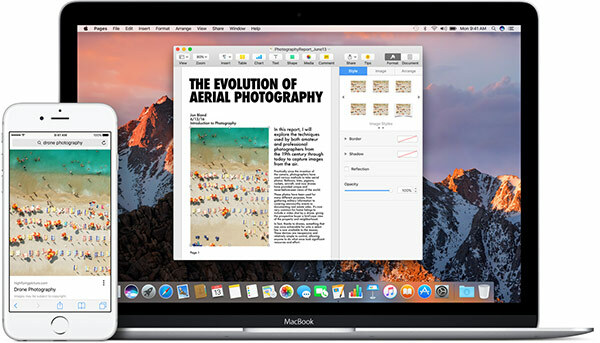 macOS Sierra 10.12 allows you to sync Desktop and Documents folders across other Macs, and even iOS devices, with all your files exactly where they are, using iCloud Drive. “You simply save your files on your Desktop or within your Documents folder as you usually do and you will have them everywhere you need them. 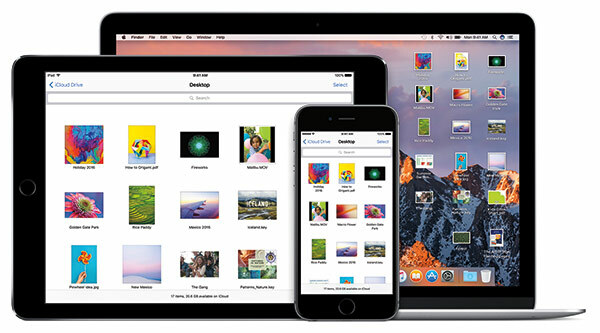 You can access your files on your iPhone and iPad in the iCloud Drive® app and on iCloud.com or the iCloud for Windows app.” So when you log in from another Mac or iOS device, you will find the files exactly where you put them. The Photos app has been updated with a new Memories feature which brings up old pictures that you’ve not seen for a while by automatically curating pictures from various occasions. Photos can be organized by People and Places thanks to the smart tech now added to the Photos app. Search is also now smarter, you can simply type “Beach” for example and the Photos app will automatically bring all beach related photos for you from your library. More so, the app also gets a new touch-up feature to really help those photos pop-out. 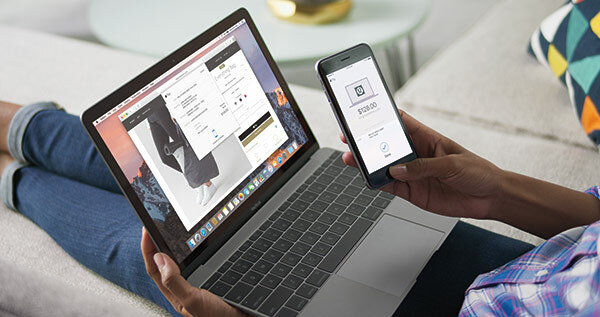 Safari will now allow users to make payments through the browser via Apple Pay. When making a payment, you will be prompted on your iPhone or Apple Watch to authenticate the action using Touch ID or a tap on the Apple Watch. 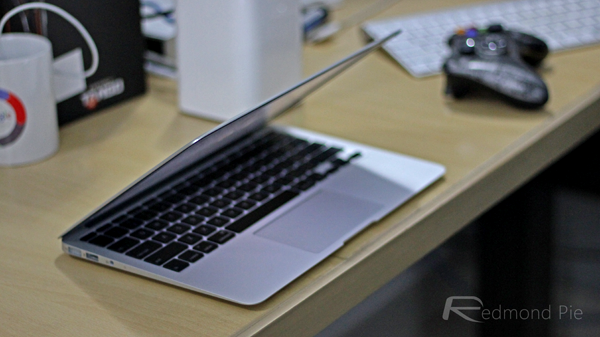 With PiP being pretty popular on the iPad, it’s only fair that the larger screened Macs got invited to the party. You can now watch a video on the web while continuing to work on something else on your Mac. You can now send large emojis, and also play video and preview links directly in the conversation. Basically, most of the new additions in iOS 10’s Messages app are brought to Messages app on macOS as well. 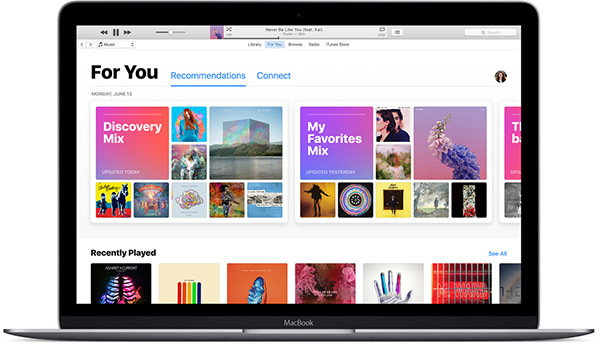 Apple Music in iTunes gets a major redesign making it much easier to browse and discover new music. “The new Browse section lets everyone see the best of what’s available on Apple Music, from exclusives and new releases to playlists and top charts.” There’s also the added ability to view lyrics while playing your music in the revamped MiniPlayer. “Make room for new files by keeping older ones in the cloud”, says Apple. 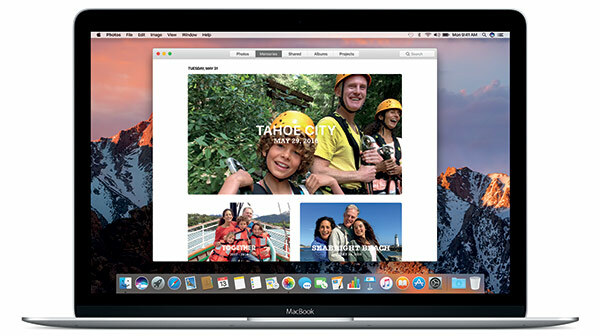 Should you choose to, macOS Sierra 10.12 now packs the ability to upload files older than a defined period of time to be uploaded to iCloud since you’re not using them. This way, you gain vital space on your Mac, while still having the old file on you at any time. Fair to say no one saw this coming, but apparently you will be able to open up multiple tabs in some apps running on macOS Sierra 10.12. 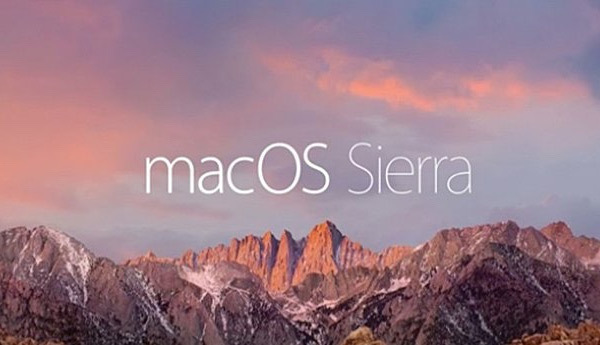 As always, the latest introduction of the Mac operating system sees Apple looking to introduce across the board improvements that should provide end-users with an enhanced experience no matter what type of Mac they are accessing macOS Sierra 10.12 on. 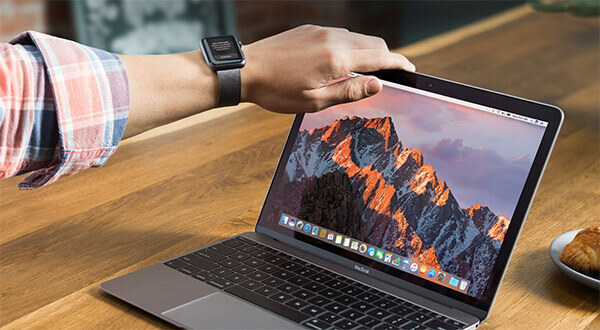 Much to the delight of developers, the first beta version of macOS 10.12 is available for download and installation today, with a Public Beta expected to drop somewhere in July. The final version however will be available this coming fall and will be a free upgrade. stupid faggy colors again, when will isis relocate to cupertino to end this for good. So they’ve copied Cortana. Interesting. Hope you’r there to wellcome them. Siri was around LONG before Cortana… idiot. You seem to mention homosexuality a lot in your moronic posts. Just come out of the closet…it’s ok.
it’s a common misconception by faggy perverts to call those who fight their kind – “in a closet”. You are a true fag because you directly insult those who oppose perverts. Yeah, because Windows doesn’t already have Cortana and MacOS does have Siri. macOS’s implementation is way better. Didn’t you read? He said: idiot. Yeah, yeah… just come out of the closet. I replied to what he stated so obviously I read. Too bad you don’t.